Mike Ricamato’s expertise for Alter includes land acquisition, land planning, engineering, building architecture, due diligence, environmental work, subdivision and platting, and construction. Over the last decade, Mike’s primary responsibilities for Alter have included the development of One11 West Illinois Street, a 10-story, 227,604 SF office building in Chicago’s River North neighborhood; and Corridors 4, a pioneering LEED®-submitted 470,000 SF office prototype in Downers Grove, IL. Mike previously was Senior Project Manager for Opus North Corporation, where his major accomplishments included the Class A Highland Landmark I and II office buildings totaling 600,000 SF in Downers Grove, IL; the 550,000 SF Northwestern Mutual Life Franklin Campus in Franklin, WI; an 861,438 SF speculative distribution building at Minooka Ridge Business Center in Minooka, IL; and a 1,094,000 SF warehouse for Roundy’s Distribution Center at Pabst Farms in Oconomowoc, WI. 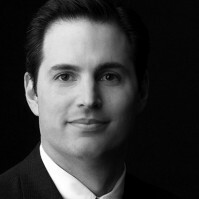 Mike, who joined Alter in 2007, holds a Bachelor of Science in Civil Engineering from Marquette University.